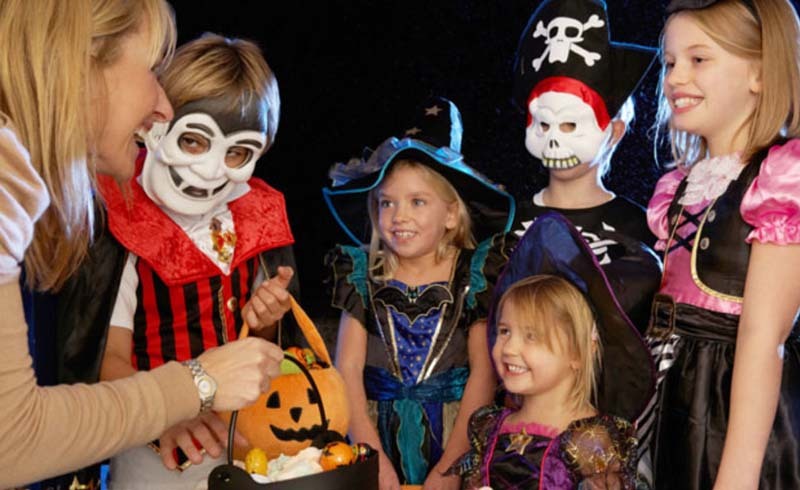 Follow these Halloween safety tips for costumes, candy, and more to make sure your children stay safe on Halloween night. 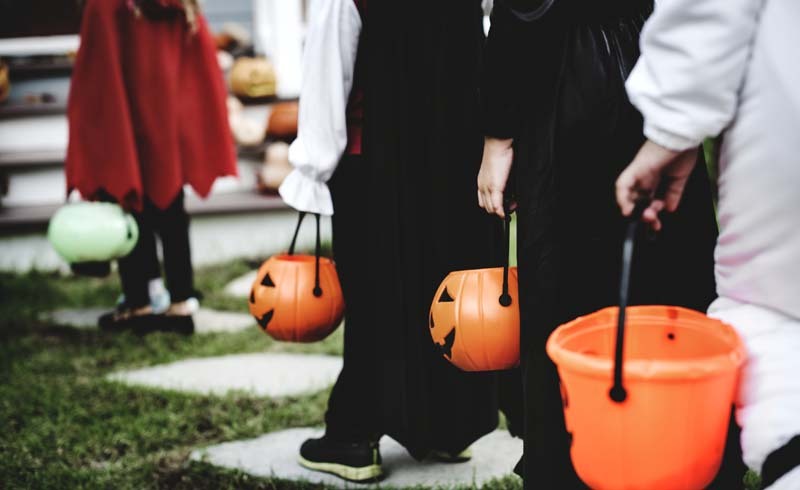 Trick-or-treating could take you several streets away from your house, which can cause sore legs and a bit of frustration. Avoid long paths by mapping out a route before leaving the house. Stick to paths that you and your child are familiar with to avoid getting lost. As your children get a little older, they may not want their parents tagging along while they trick-or-treat. You know your kids the best, of course, but most Halloween safety tips recommend that parents accompany children under 12. If your older child is venturing out without you, make sure that he or she will be with at least a few friends the entire night. And don’t leave anyone alone—if some of the more adventurous kiddos can’t wait to check out the neighbor’s spooky haunted house display, but one of the children is a bit more reticent, make sure someone agrees to stay with him or her, at a designated place, before everyone takes off. Your kids know not to stray into the road when they’re walking to school. But on Halloween, when kids are running amok all over the neighborhood from house to house, it may seem like all bets are off. It’s essential to make sure that your kids are still following basic safety rules, like staying on the sidewalks and looking both ways before crossing the street. On busier roads, be sure to use the crosswalk and make absolutely sure that any approaching drivers can see you. Be careful about sprinting across unfamiliar lawns, too; in the dark, it can be tricky to see decorations or other tripping hazards lurking in the yard. Make sure you and your children are in comfortable, well-fitting shoes. Girls in dresses should avoid heels, and all shoelaces should be double-tied to avoid tripping in the dark. No matter how cool your child’s costume may be, it shouldn’t forego safety. If the costume is dark in color, apply reflective tape to your child’s costume to ensure they are seen by drivers on the road. Also, carry a flashlight with you to keep your child’s path lit at all times. Long costumes that drag on the ground can be dangerous, especially at night. After purchasing your child’s costume, make sure it’s an appropriate length, and hem anything that’s too long to avoid tripping. Masks might look cool, but you should proceed with caution since they don’t really adhere to most Halloween safety tips. Many masks can make it difficult for your child to see or breathe. If possible, skip the mask altogether and use non-toxic make-up to complete the costume instead. Try to avoid costumes that have weapons as accessories. But if your child’s costume won’t be complete without a weapon, make sure it is rubber or plastic. Choose a prop that won’t cause injury to your child or their friends.